It is impossible to overlook the comforts internet has brought after becoming a part of our lives. In last years, where the services provided thanks to the web are rising both qualitatively and quantitively, significant developments are happening on e-commerce front as well. With these developments, mobile commerce business, which is making its presence fairly well known all over the world, is also providing some of the best examples in the world of going mobile. The inclination of e-commerce sites towards the mobile has begun with users going ever more mobile and demanding to get every service in mobile form. This way, companies have started offering the possibility of shopping anytime, and anywhere they desire to their customers. It is expected that by the year 2020, 9 out of every ten people will own a smartphone. It is also expected that mobile commerce will also proportionally increase by this statistic. So, what are the latest development in the world of mobile, which also closely concerns the e-commerce? One of the subject that companies which provide e-commerce services over the mobile needs to pay close attention is “social networks.” Brands can get into contact with their users with the aid of social networks, and therefore earn brand recognition and ensure customer loyalty. According to Global Web Index statistics, 3.5 billion people around the world are accessing the internet, and 2.3 billion are actively using social media venues. Access to social media via mobile devices, in turn, is around 2 billion. Looking under the light of this data, it becomes apparent that the companies who do mobile commerce need to keep the social media users in mind when they are designing and setting a path for their promotional activities and customer relations efforts. Smartphones have caught up quickly with usage rates of laptop and desktop computers. Other mobile devices too are increasing their rates of use every day. According to Mobility Report, due to most users using multiple devices, smartphone use has shown and raised around 300 million. According to this report, 3.4 billion of world’s population is smartphone users. We can say that these massive developments in smartphones will lead to revolutions in the service industry as well. Mobiroller white label mobile app reseller program allows you to make your own mobile apps for your small business clients. Start making money to resell mobile apps today! According to surveys conducted by Business Insider & Monetate, more than 30 percent of users visiting e-commerce sites are accessing over mobile devices. It is expected that by the year 2018, half of the e-commerce volume will originate from mobile device users in Europe. According to this data, the concept of m-commerce has already stepped ahead even e-commerce. 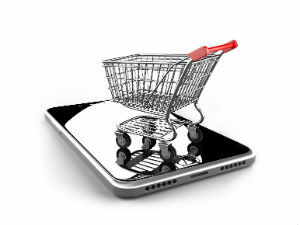 In light of all this information, it can be concluded that the development of mobile commerce is gaining momentum. If you want to take your place in the mobile world, which is growing every single day, create your MobiRoller account right away, and meet with your target audience as soon as possible. How to grow your app and increase its user count?